Did you know the Sailfish can swim 60 miles per hour? 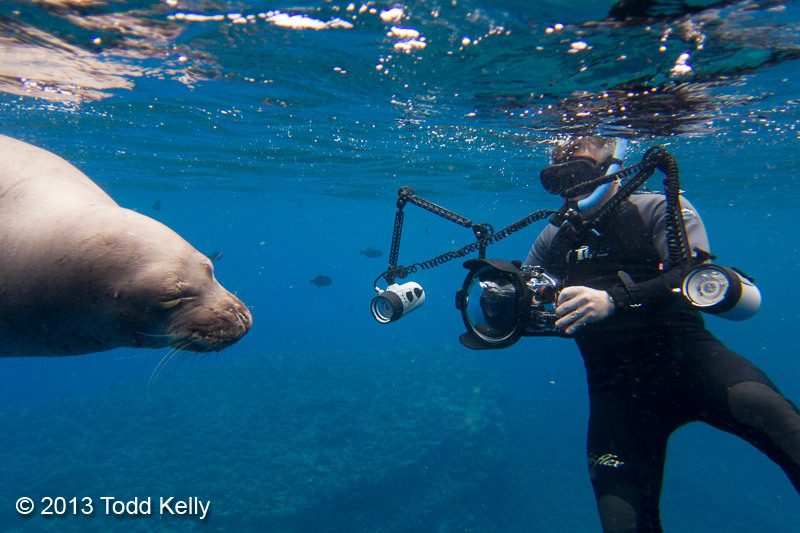 Our shoot began on the absolutely drop-dead gorgeous island of Kauai, where we filmed underwater sequences of Hawaiian Monk Seals. These adorable pinnipeds are among the most critically endangered marine mammals on Earth, numbering less than 1,200 spread throughout the Hawaiian archipelago. Most are found far from civilization in the French Frigate shoals way up to the northwest of the main (i.e. inhabited) Hawaiian islands. 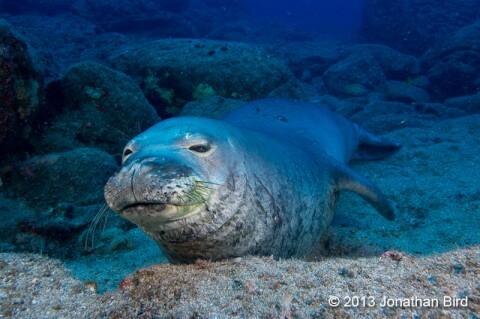 However, a few dozen can be found here and there around Kauai and Ni’ihau and some of them have actually become quite curious and inquisitive about divers. 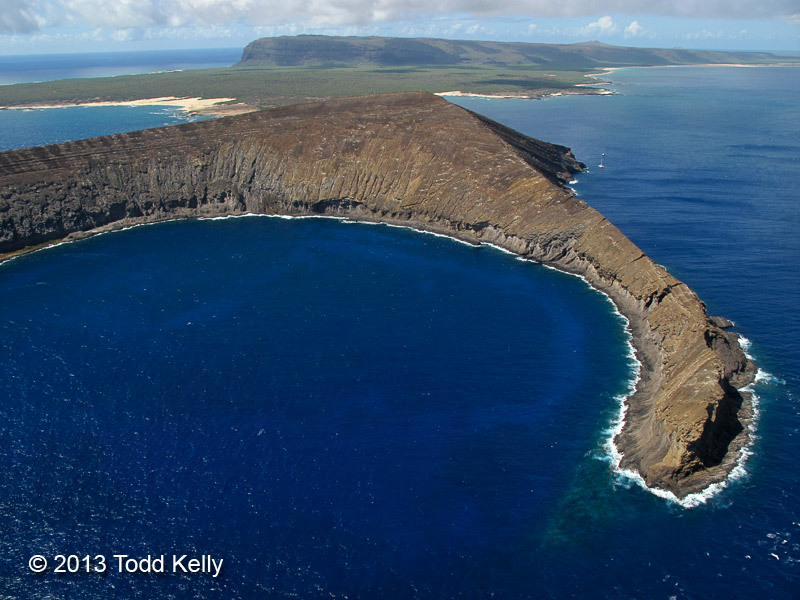 We spent a couple days on the water around Lehua Island just off Ni’ihau with Fathom Five Divers and their excellent crew. Two different curious seals came to us throughout the two days. Not every dive, but plenty of times, and we got some outstanding footage of the seals. They are really cute! The next day, Editor Tim and I headed to the beach to shoot some standups while Todd went flying to shoot aerials of the island with a local pilot who is a friend of George at Fathom Five. He graciously volunteered to fly one of us around, a super experience that is rare for us. Todd got the lucky seat—and responsibility—for shooting the aerials. As a licensed pilot, Todd got to fly a little too! The aerials came out really good. Very exciting stuff. 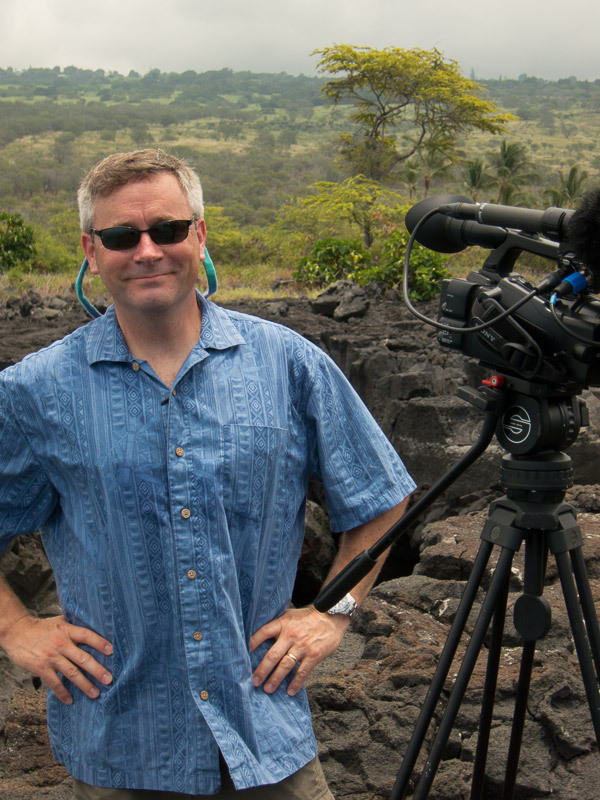 On the Big Island, we were scheduled to shoot two segments, but unfortunately for reasons beyond our control, one of the shoots fell through. So our first course of action was to get the other one “in the can” while also keeping our ears open for additional segment ideas to replace the lost one. 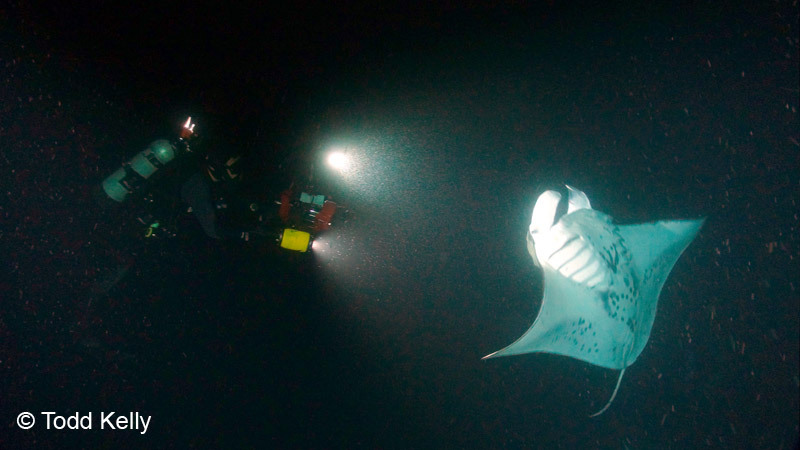 We spent two nights filming the famous manta night dive in Kona with Big Island Divers. On one night, our divemaster was Jonathan Davis, a certified, genuine Blue World fan (we quizzed him…he passed with flying colors) and we got some insanely awesome footage! 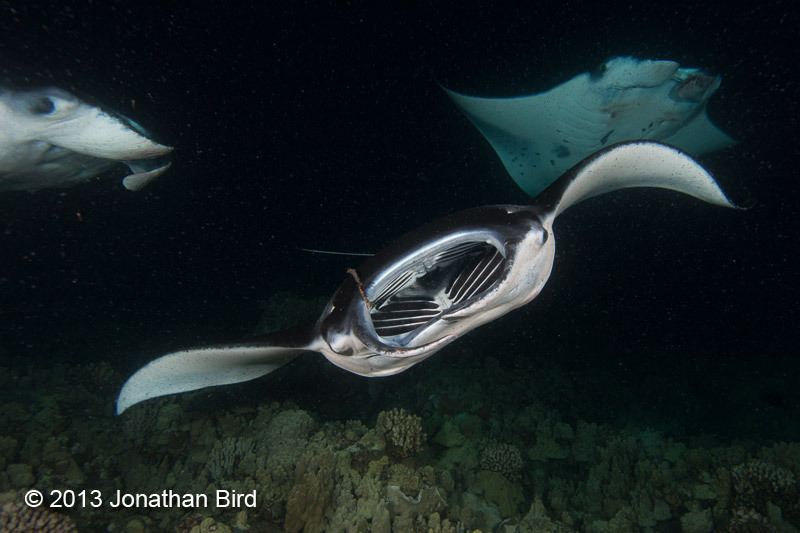 Never in my life have I ever been so close to so many manta rays! 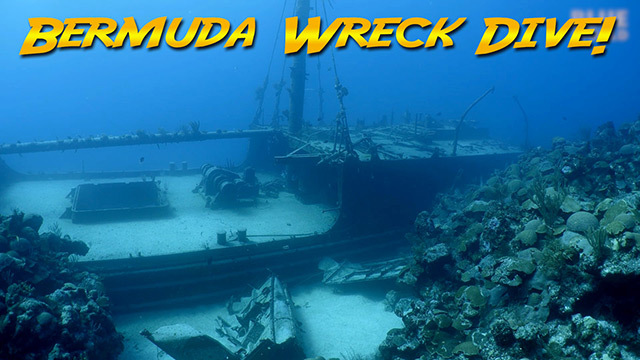 If you ever find yourself in the proximity to the Big Island and you don’t do this dive, you are really missing out. (You can also do it as a snorkeler.) I highly recommend Big Island Divers too, they really take care of their guests and the staff is super nice. So now we are back in Massachusetts going through the footage. But not for long because our next shoot is in 4 days!